Last year’s champion Li Haotong, who played alongside DeChambeau in the final round, had held the previous record after producing a winning score of 23 under in 2018. 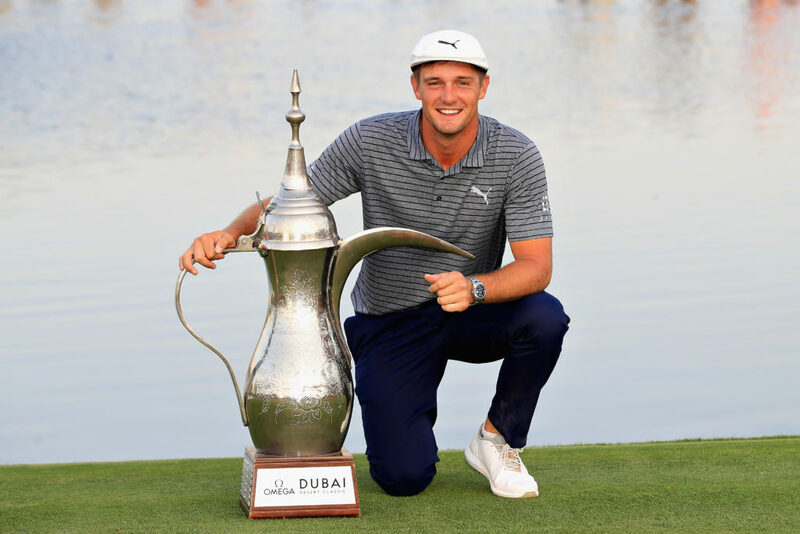 Bryson DeChambeau: “Today I was happy with my game. I executed a lot of great shots. It was obviously a lot of fun to be able to finally hoist an international trophy, I’m so happy about that. “It’s incredibly special. I’ve always dreamed of winning any Tour event, and to have this many under my belt, I don’t even know what I have right now. You know, being able to win internationally is something that I’ve always wanted to do after winning so many times in the States and to get it at the Omega Dubai Desert Classic is incredible. It’s literally a dream come true. I couldn’t be more honoured to win this event. “Coming back here as a professional, being an amateur in 2016, I was expecting a lot of good things. I knew I could play really well if I was striking the ball well and if I figured out some putting stuff and I did this week. I made a lot of putts with the flag in, with it out, it didn’t really matter too much. But again, going back to it being my first international win, I really couldn’t be more pleased to have this tournament be my first European Tour win. Matt Wallace: “Really good in parts, really shabby in parts. Not good enough to put any pressure on, but just about good enough to get second. “I’ve got to take the positives from that early on in the season to get the juices flowing like that and to play with Ernie, I mean, I didn’t see myself having 165 yards in for my third on the last to try and get it done, but I’ll learn from that. Overall, very happy.